Steve Coogan and Richard Gere play Paul and Stan Lohman. They are brothers who have a strained relationship. Paul is a teacher who suffers from mental health issues. Stan is a congressman who is trying to get re-elected. Together, they bring their wives for a supper date at a swanky restaurant. That's the essence of The Dinner, my latest review. 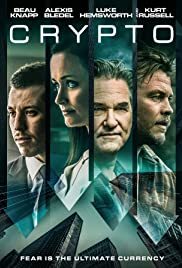 Distributed by Front Row Filmed Entertainment and saddled with an ending that leaves your mind sitting on the edge of a cliff, The Dinner involves these men discussing how to cover up a murder that their sons were a part of. Heck, the Lohman family name is at stake. Title cards show stuff like "Cheese Course", "Appetizer", and "Main Course". Waiters spew off unrelenting descriptions of eccentric food items. Characters grovel with verbal eruptions between slurps of fine wine. Don't be fooled though. This flick is rarely about an actual dinner. Drunk on it's own pretentiousness and its own darkly-lit, stylistic nature, The Dinner gets lost in flashbacks, meditations on the Battle of Gettysburg, and rambling plot tangents. 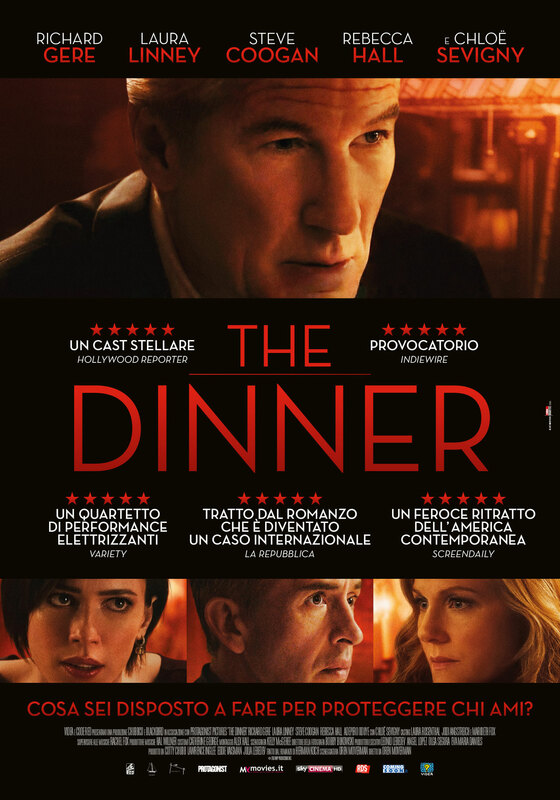 With a screenplay by director Oren Moverman that constantly recycles itself, The Dinner doesn't quite find its footing till the sledgehammering third act. By then, it exhausts and doesn't feel like something I would truly recommend. This is all despite volcanic, timed, and raw performances by Gere, Coogan, and Laura Linney (she plays Paul's Macbeth-type wife). Now the one thing that came to me early on in The Dinner, was that this is the first time I've seen Richard Gere and Linney in a vehicle together since Primal Fear (for the record, I've never viewed 2002's The Mothman Prophecies). For myself, the reunion was surreal but mildly bittersweet. Bottom line: The Dinner is a cinematic meal that digests hard and almost cleanses your palate. Its running time is a total of two straight hours. Jotting between a couple of main narratives, it all feels like an adroit Woody Allen film coupled with a touch of Nicolas Jarecki and a grain of morose and violent, family dis-functionality. Adrift and dour, The Dinner sans progression and takes its sweet time to tell an actual story. 120 minutes could've been trimmed by at least thirty. My rating: 2 and a half stars.